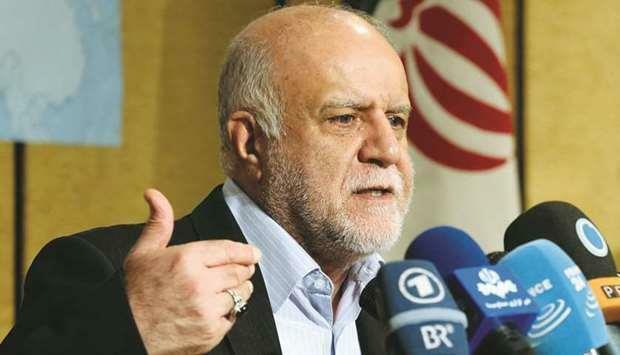 (MENAFN - Gulf Times) Iran's oil minister said on Sunday that US sanctions on Iran and Venezuela and tensions in Libya have made the supply-demand balance in the global oil market fragile, and warned of consequences for increasing pressures on Tehran. Oil prices have risen more than 30% this year on the back of supply cuts led by the Organization of the Petroleum Exporting Countries and US sanctions on oil exporters Iran and Venezuela, plus escalating conflict in Opec member Libya. 'Oil prices are increasing every day. That shows the market is worried, Bijan Zanganeh was quoted as saying by Tasnim news agency. 'Venezuela is in trouble. Russia is also under sanctions. Libya is in turmoil. Part of US oil production has stopped. These show the supply-demand balance is very fragile, Zanganeh said. 'If they (the Americans) decide to increase pressures on Iran, the fragility will increase in an unpredictable way, he added. Zanganeh said one of the consequences of pressure on Iran was a rise in fuel prices in the US. 'Mr Trump should choose whether to add more pressure on Iran or keep fuel prices low at gas stations in America, Zanganeh was quoted as saying by the oil ministry's news agency SHANA. The US reimposed sanctions on Iran in November after pulling out of a 2015 nuclear accord between it and six world powers. The sanctions have already halved Iranian oil exports. US President Donald Trump eventually aims to halt Iranian oil exports, choking off Tehran's main source of revenue. Washington is pressuring Iran to curtail its nuclear programme and stop backing what the US calls militant proxies across the Middle East. Though Saudi Arabia is considered keen to keep cutting, sources within the group said it could raise output from July if disruptions continue elsewhere. The producer group's supply cuts have been aimed largely at offsetting record crude production in the US.